This subject of BLUE PEOPLE pops up in different places so I thought I would dedicate a discussion to it. Why do we have the ‘blues’ when we are depressed; why do the ‘Blues’ come from the Deep South; and why does the air turn ‘blue’ if we swear a lot? Why is the ocean and the sky described as ‘blue’, when water and air is not? I am going to skip over the whole subject of Earth Human race-by-colour argument as it is not relevant and fraught with discrepancies. For more info see WIKI. The Kentucky Blues: One rare medical anomaly (‘met-H’) that afflicted a family in Kentucky, possibly due to in-breeding, caused a blue look to their bodies, and you can read about it in The Kentucky Blues and HERE.I found a mention (see below *) that there is an Inner-Earth portal in the Kentucky mountains, where the ‘Kentucky Blues’ lived. Blue Babies: This is another medical anomaly which may be more interesting, , which is caused by antagonistic mixing of Rhesus negative and Rhesus positive blood during birth. It has been suggested that RH neg blood is of an ET origin. This is because one hypothesis says that the Reptilian ET Race that practiced genetic manipulation may have used the Rhesus monkey DNA and if this factor is absent, then it may suggest RH neg is non-genetically altered DNA – i.e. ET. But if there is more than one type of ET race, then the RH neg blood carriers need not be the genetic manipulators, but some other visitors who inter-married with humans and had children – from love? Blue-Bloods are another side-shoot. 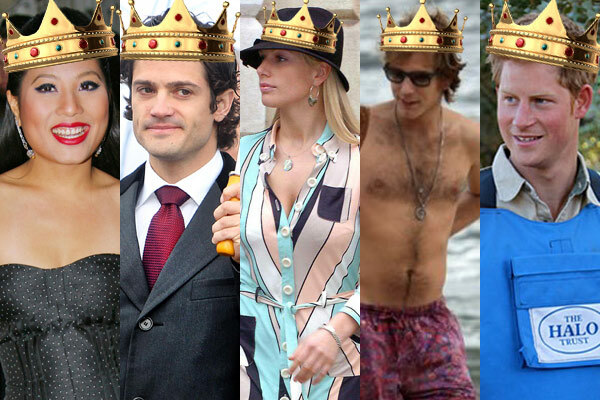 They are usually of Royal descent and suffer from haemophilia due to in-breeding, again, and Royals have been long held as ‘God’s patrons for humanity’ or ‘God’s representatives on Earth’ or divine in their own right as a protected blood-line – but from which source? 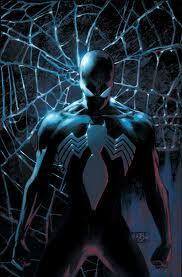 The cause of blue blood in lobsters, snails and spiders is hemocyanin. 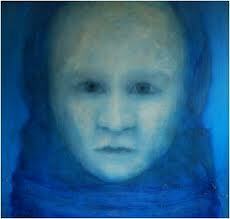 The Blue-Skins are described as an other-worldly race, an ET race or a Star race. But stories around the world tell us they are here – somewhere. When there is something in common folk-lore, fantasy or fiction that appears repeatedly, one has to consider whether there is an underlying truth which cannot be explained with scientific proof, historical fact, or, in the case of living beings, anthropological and archaeological evidence, yet it is in our psyche. For some people, there is already an inner or soul identification with this Blue Race, and I invite their experiences, knowledge and input. It is interesting to note that in Apocalypto, the victims of the blood sacrifices were daubed with blue dye before death – were they a reminder of a star-race? *My own comment to that reply is that, with the best of my knowledge, America was the last continent to be discovered – by C.E. explorers – and an “ocean between Asia and Europe” would have been the Pacific/Atlantic and a continent of antiquity in its centre would have been Atlantis/Lemuria. And Lemuria was known as ‘MU’ – “Moovians”?? Now these beings may well have inhabited the Americas, too. I am not going to be pedantic about this as none of us know, proof-positive. But I have read that the Ainu lived further north in outer China (? 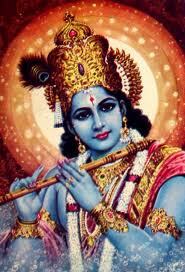 ), and that they are so old they also are thought to have originated in Lemuria/Atlantis. 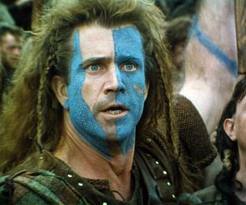 Is this where the ‘Blue-Skins’ are ‘hiding’? Have they re-incarnated as our new generation of Crystal/Indigo Children? If we look at the folk-lore characters again, we see people who are different, outspoken, brave, spiritual, have super-natural powers or become leaders of men for freedom of humanity – is this what Crystal Children are destined to be? According to the ancient Hopi prophecy–“When the Blue Star Kachina makes its appearance in the heavens, the Fifth World will emerge”. This will be the Day of Purification. 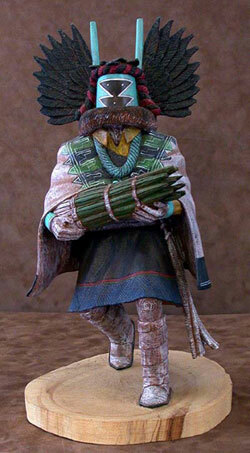 “The story of the Blue Kachina is a very old story, very old. 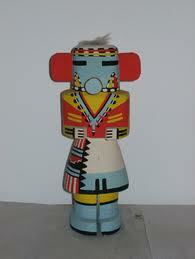 I have been aware of the story of the Blue Kachina since I was very young. I was told this story by grandfathers who are now between 80 and 108 years of age. Frank Waters also wrote about Saquasohuh, the Blue Star Kachina in The Book of the Hopi, The story came from Grandfather Dan, Oldest Hopi. “It was told to me that first the Blue Kachina would start to be seen at the dances, and would make his appearance known to the children in the plaza during the night dance. This event would tell us that the end times are very near. Then the Blue Star Kachina would physically appear in our heavens which would mean that we were in the end times. “In the Final days we will look up in our heavens and we will witness the return of the two brothers who helped create this world in the birthing time. Poganghoya is the guardian of our North Pole and his Brother Palongawhoya is the guardian of the South pole. In the final days the Blue Star Katchina will come to be with his nephews and they will return the Earth to its natural rotation which is counter clock wise. “This fact is evidenced in many petraglyphs that speak of the Zodiac, and within the Mayan and Egyptian pyramids. The rotation of the Earth has been manipulated by not so benevolent Star beings . The twins will be seen in our North Western skies. They will come and visit to see who still remembered the original teachings flying in their Patuwvotas, or flying shields. They will bring many of their star family with them in the final days. “In northern Arkansas, a 12-man speleological team broke into an ancient tunnel system, encountering inhabitants of the inner- world. If the ‘Blue Race’ was from the Sirius Star System, then the Hopi Indians and the Dogon Tribe in Mali have kept their memory alive. (Not sure how they got to Kentucky though, although according to Robert Temple, they are remembered in China) The Kachina dancers and dolls and the Dogon costumes and masks have a strong similarity, in my opinion. 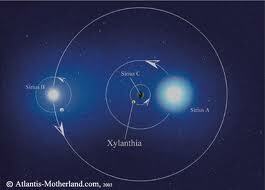 The Blue Kachina Star twins maybe Sirius A and Sirius B. The Dogon Tribe’s ancestors were exiled from Egypt when the religious dogma threatened their tradition and so they left to preserve it, but petroglyphs remain of the ‘fish-beings’, the people who came from the sky in an enormous Mothership, and were ‘bluish, scaly, gill-breathing, fish-head and tailed beings. Dolphins seem to be associated with these people, as do mermaids. There are at least three ways to see Star beings – one – is in the memories held in legend and traditions; two – that they are in us genetically or spiritually; three – that they can move inter-dimensionally and ‘appear’ to those who can ‘see’. The biggest problem with looking for evidence is that once one idea gets established, it is repeated as the truth, regardless of whether it is true or not. 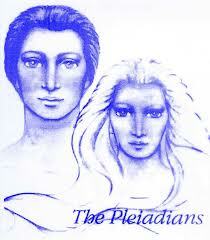 Not just Sirians then, but Pleiadians too. I am wondering if this ‘blueness’ is a textural or perceptual vibrational quality which we call ‘blue’. Like we see and call the sky ‘blue’ but it is thin air. 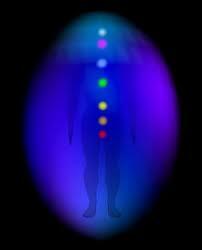 It is a photonic frequency. A few more associations – the human ‘blue-print’, ‘cold-blooded’ amphibians, dolphins, and lack of haemaglobin (as in red blood cells) due to the low-light of the Inner Sun – and maybe ultra-violet light-sensitive, or higher light frequency adaptation. In summary, ‘BLUE’ people, whether blood-line, genetic condition, skin-colour or with a tradition of painting themselves, seem to have a common origin – other-worldly, inner earth or the future – from the sky, space or stars – from the wide-blue-yonder? Those who have Sirius as their planetary origin are very focused, very determined and set on whatever path they are on at a given time. It is very difficult to change the mind of one from Sirius, but once they have become convinced that a new “path” is more appropriate, they become totally focused on the new, and release the old quickly. 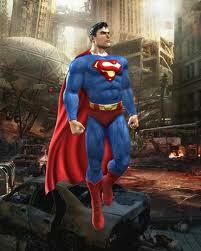 Sirians have strong beliefs, ideals and personal integrity. Those from Sirius make loyal, trustworthy friends, but expect the same in return. They become hurt and disillusioned when these expectations are not met. Sirians do not share the inner personal self with others easily, and may have difficulty sharing emotions and expressing feelings and needs. To be fully accepted and trusted as a close personal friend of a Sirian means that you have been carefully scrutinized. Sirians may have difficulty in relationships and friendships when they expect to be treated in a certain way, but do not share their expectations with the others involved. It is important to work with sharing expectations, ideals, communicating needs and desires to avoid being hurt and disillusioned. This often occurs as a result of lack of communication or lack of mutual understanding and clarity in relationships. Those from Sirius tend to be future oriented, and do not enjoy focusing on the past. They may become defensive if forced to focus on the past by others. This is due to the fact that past pain and emotion is held within, denied and repressed rather than being dealt with at the time of occurrence. Due to this there may be large amounts of old emotion in need of being dealt with and released. Sirians do not enjoy confrontations or open expressions of anger but if forced into an argument will defend themselves and their beliefs fiercely. This is particularly true if honor of themselves or loved ones is involved. One of the lessons many Sirians have chosen to work with in this lifetime is the importance of releasing old pain, forgiving self and others, and moving on. Sirians have a very unique and strong sense of humor, which often is only seen when they are with those they trust and feel at ease with. Sirians may be considered dreamers by some. This is due to their active, vivid inner life. This can cause forgetfulness and a tendency to not notice trivial third dimensional things in the present. They may at times appear to be uninterested, or inattentive, but in actuality they are simply somewhere else. They may not realize that others are unaware of their inner activity. Although they appear very calm, quiet and reserved on the surface, there is much activity within. As children, Sirians may often be thought to have learning disorders or thought to have problems with their attention span. This is due to the attraction of the inner world, which is often more interesting than that which is taught in Earth schools. They do best in learning when visual methods of teaching are used, and they are allowed hands on types of learning with freedom to move around and explore. These are children who benefit greatly from alternative schools, the are very intelligent but strong enough within to feel that if something does not interest them, they should not be required to learn about it. Those from Sirius have a deep connection to the Earth and energies of nature. Many Sirians have had numerous lives as American Indians and maintain close ties and memories of these lives. They are very visual, both in their ability to see things which others do not, and in their manner of learning. 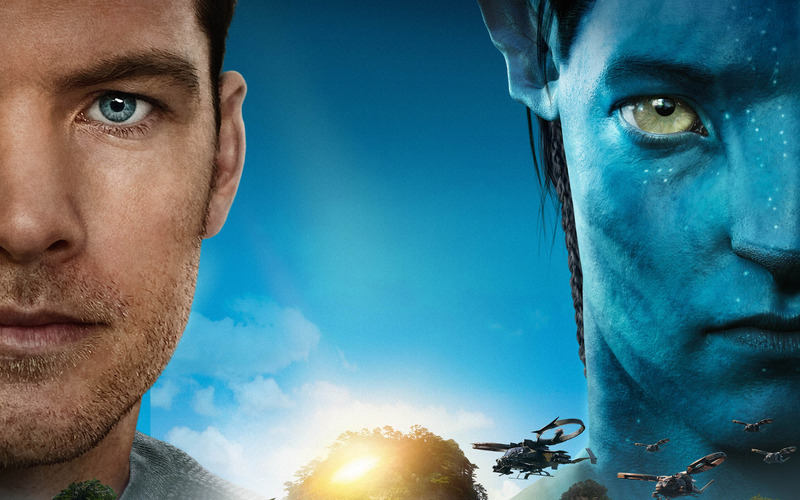 Really interesting synopsis of ‘Blue People’. Perhaps where the idea for Blue Man Group came out of. Thank you. Very thought provoking and interesting. Apologies Hollis, when I found this picture it had no signature, but it is now credited to you. And thank you for your comment. My comment was a quote, which I took at face value. 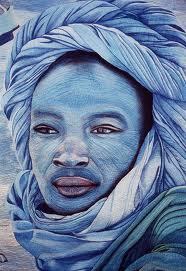 The incredible style of the Taureq who use indigo dye has always fascinated me; they are a beautiful people. He constantly kept talking about this. I’ll send this information to him. All current races were later manufactured over the ages as we fell from the golden age disconnected from the tree of life & black sun. Human race = hue’s of man racing against one another…divide & conquer. Thanks for your comment Martin – yours is an interesting perspective i have not come across before. I shall meditate on it 🙂 Do you have any writing on this anywhere that I could read?